I Really Don’t like to Bake much unless its the holidays But My Kids Love Cookies and milk so of course I go the easy way! So This weekend I decided to Put these to the test! Trust Me We have Tried Every Brand you can think of LOL! But I must say these were by far the best and the same Great Quaility as all Pillsbury Products. The kids even agreed and they are mostly sugar cookies Fans! These new cookies currently come in two flavors: Chocolate Chip and Peanut Butter. They have zero grams trans fat, no high fructose corn syrup, no artificial colors or flavors and no preservative. Contest ends August 27th at 12:00 NOON EST. 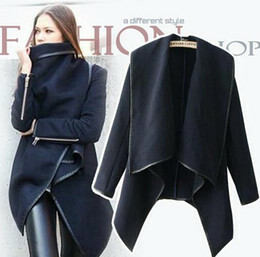 Winnner will be chosen at random and contacted via email. I will contact the winner on August 20th and they will have 48 hours to respond or a new winner will be chosen. US ONLY. TO ENTER: Leave a comment telling me how what other pillsbury products do you like? And Also I love giving extra entries so here is your chance to gain more! Please leave a comment for each Extra Entry! 3. Blog about this on your blog (it don’t need to be a separate post) . Please give me the URL, so I can verify (2 Entries). 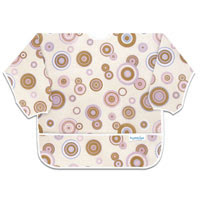 Product line includes bibs, aprons, smocks and bags utilizing its signature soft, machine washable, waterproof fabric. With product growth, current best-selling product is the SuperBibÂ® was launched in 1991 with great response and In 2005 Bumkins became a Dr. Seuss licensee and entered into the world of infant and toddler apparel. 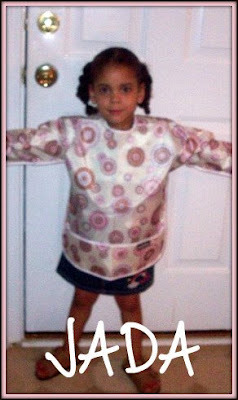 The Art Smocks Are Unique waterproof Fabric and cute as they can be! They are Sized to fit 2 – 5 years But don’t worry they other sizes and styles to pick from! And at a great price of 19.95! Jada Loved Her’s and so did I! I would say this is a must have product not only for back to school but for Home so I am ordering More to share with friends that we meet in pre_k! Here is the Best Part! Bumkins will be giving away 5, $35.00, Gift certificates as a part of the Bumkins Back 2 School Blog Tour! Bumkins will choose the five winners beginning Monday August 10th, giving away one gift certificate each day that week all you have to do is to enter is go to my main blog it’s just simply unique or go to Bumkins blog and post on any of the other participating blogs’, Bumkins Back 2 School Blog Tour posts! So Here is your chance to see how great this product is for yourself! Good Lucl! And If you decide that you cant wait and would like to purchase something now Use Coupon code b2school09 This code is for FREE UPS Ground Shipping on orders over $35.00 and is good until September 1st, 2009. Do you work all day at your desk? Spend a lot of time in front of the computer? Don’t get enough of exercise?! Want to do some office Exercise but don’t know what kind? I know I am Guilty as charged. Working from home is great and I love it but always being at the computer I never get as much exercise as I need in! Phil Weaver of Break Pal was very generous in giving me a full, membership to this awesome program so I could go ahead and try it out. I love how the videos were broken down into 2 – 5 minute so while I am sitting at my desk waiting for a call to come thru i can make myself useful! You get points every time you exercise and there is a leader broad so you can see everyone else points. SO the Question is ARE YOU READY?! I’m giving away 1 non-expiring memberships to BreakPal on this blog and 2 on my Main blog! . 1) First Go to BreakPal.com and look around and tell me what you like most about the program. 2. Tweet about this giveaway you can TWEET 1 time DAILY! A whole new Direction in Skin Care It's Skin Free! Extra Moisturizing Liquid Soap“This formulation is for those who prefer a natural liquid soap that is gentle enough for face and sensitive skin. It is ideal for those who must cleanse delicate skin more frequently as it contains no harsh sodium laurel derivatives or other chemicals and it is pH adjusted to prevent stinging. Its rich lather and creamy formula leaves skin feeling smooth and moisturized. To use, pour a small amount onto a dampened wash cloth, bath puff, or loofah and rub into skin to create an abundant lather. This product has not yet been rated by the Environmental Working Group.$1 from every purchase of this product will be donated to the Susan G. Koman for the Cure Association for Breast Cancer research. Ingredients: Our Extra Moisturizing Liquid Soap contains – Saponified oils of Prunus amygdalus dulcis (Sweet Almond), Olea euporea (Olive) seed, Ricinus communis (Castor), Butyrospermum parkii (Shea Butter) fruit, Sodium Borate. At First when I opened the package I was thinking yea ok we will try this but I really didn’t think it would do anything for my daughter’s awful dry skin I mean come on even the stuff they gave her at the DR’s Office didn’t work! So I decided to use it first before I used it on my girls who have really dry and VERY Sensitive skin. I was In Love..Ok well I will be honest @ first Since It had no Fragrance Since I am a scent nut I was like blah But after I used It my skin was SOOOOOO soft and Smooth! I used the Sugar scrub all over! Then followed with washing with The Extra Moisturizing Soap. So Jasmine was Next! She loved it and her skin looked so much better after the first use! I really wish I had taken before and after pictures cause the results was amazing! She even loved it so much that she was trying to take it all from me! So I will be going to CVS to get some more this week! These products are 100% natural and free from toxins, irritants, fragrances, colorants, petroleum derivatives, and animal products. The products are also affordable and effective. Try thisÂ Line I promise you will not be disappointed and you know I don’t make promises like that MUCH at all! I am so glad to be able to have the chance to try this and I owe A big Thank you to Skin Free and Julie For coming out with such a great product!! You can purchase Skin Free products at your local Walgreens and CVS. Or, you may place an order on-line at www.skinfree.net. *Free shipping on orders of $25.00 or more! And That’s not all they have decided to let One of my lucky Readers win a $30 gift certificate To try it and see for yourself so head on over to my Main Blog And Enter! !